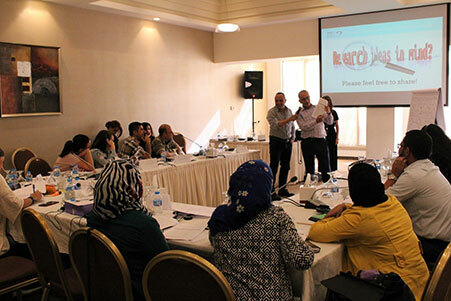 For the first time DIGNITY teaches middle eastern psychologists how to treat traumatised children. A therapy based on storytelling helps children express their emotions and lessens the level of PTSD. Much needed in warzones like Yemen, says Yemeni therapists. DIGNITY has been training middle eastern psychologists in the trauma specific Narrative Exposure Therapy (NET) for a long time. The therapy has helped many adults in conflict prone areas structuring their traumatic experiences, as well as lessening their level of PTSD, but now also children with PTSD will benefit from the therapy. - KIDNET is the logical next step after doing NET for adults. It is a quick method that can be done in 8-12 sessions and it is suitable for refugees who are always on the move, he said when DIGNITY met him at the event. KIDNET is a therapy where the child constructs a chronological lifeline with a focus on the traumatic events they have experienced. Examples are being exposed to armed conflict, being victims of sexual assault, or listening to details about how relatives were killed or tortured. 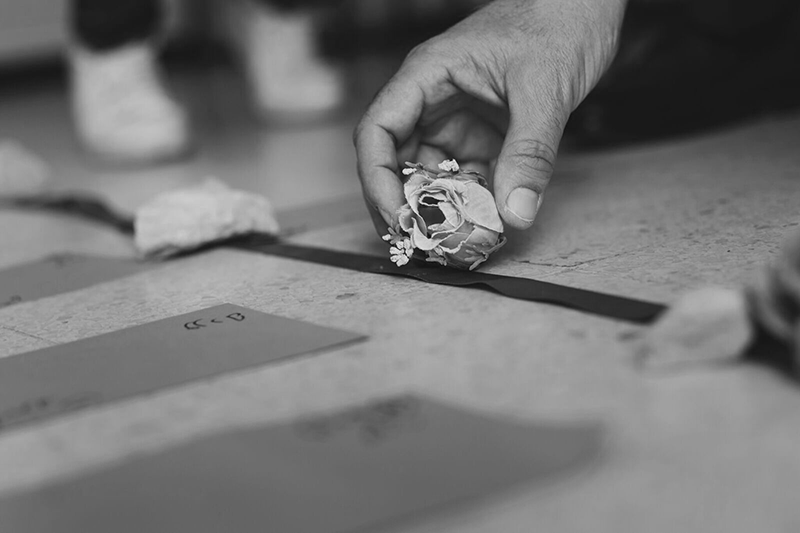 The child and the therapist then transform the fragmented memories into a coherent story, where the child is encouraged to relive the emotions associated with the trauma. Putting the traumatic experiences into a larger context will prevent them from constantly and uncontrollably returning as flashbacks. Najla Alafif and Altaf Alradaa from Yemen came a long way to attend the training. To get to the airport they spent 24 hours on a bus, went through several checkpoints and hid three hours from bombardment. But for them, learning the therapy was important. Najla Alafif has been a psychologist for 20 years, and she daily faces the harsh conditions the Yemeni children are growing up in due to the critical conditions in the country. - This therapy came very timely for us. It is like we were drowning, and this therapy came as a saviour. The children are no longer smiling. There are no safe spaces for them and they have now started to bear weapons. The therapy can be a safe place for them to express their emotions, she says. - We are so motivated to help them. The adults are tired, so imagine how tired the children must be. As things are, everything they are exposed to can be considered traumatic, both Najla and Altaf says. 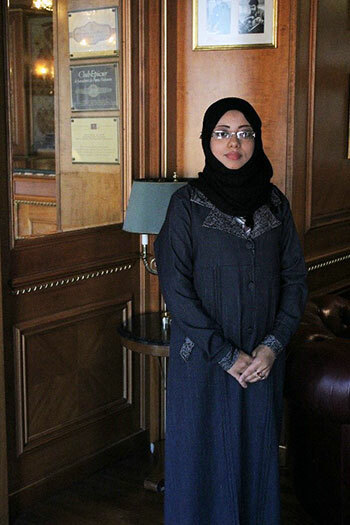 Psychologist Najla Alafif from Yemen wants to help the children in her country. But it is not only Yemeni children that is in need of help. 60% of the population in the MENA region are under 25 years old, and in a study from Save the Children on children’s mental health in Syria, 71% of the interviewed says children shows signs of PTSD. A condition that can lead to many other diseases if not being treated. - The problem is too big to ignore. If you have PTSD as a child you are 8 times more vulnerable to other problems such as eating disorder, behavioural problems, delays in development or depression, says Issam Smeir. But even though the demand for therapy is high, there are certain prerequisites before the child can start the treatment. They have to be between 6 and 17 years old, they have to be able to communicate and they have to have PTSD. - Kids with severe behavioural issues, heavy suicide thoughts, drug abusers or others need to be treated before they start the therapy. Safety has to come first, as Issam Smeir emphasises. The fact that PTSD is the prerequisite to enter the therapy is a conscious choice, says Ane Kirstine Viller Hansen, health advisor at DIGNITY. She is teaching the therapists how to measure the children’s level of PTSD and how to evaluate the therapy sessions. - We use a scale called UCLA PTSD index, which is a psychiatric assessment tool used to assess symptoms of PTSD in children and adolescents. The scale is a validated method translated and tested in several languages, including Arabic. Knowing more about the symptoms prior to, and after therapy will enable DIGNITY to develop a study showing the effects of the therapy. It is important for us to secure high-quality therapy and to ensure that the method works on the target group. So I am interested to see what kind of knowledge we will get and to find out exactly what the children has been exposed to, Ane Kirstine Viller Hansen says. The method of KIDNET is widely used in other countries and has shown good effects. KIDNET however is a very individualistic approach and that can be intrusive to a child brought up in the Arab world, where family plays a big role and where the children are taught to make collective decisions. So to work in this setting, DIGNITY has made some adjustments to the therapy. - Before the therapists do the narration with the child, they have a pre-sessions where the child is prepared in identifying his or her emotions and thoughts. We also added an extra session at the end of the therapy, where the child can share his/her traumatic story in detail with their family. Engaging the family is an essential step to ensure that the approach is culturally appropriate, and leave the child with a strong support system after therapy ends, says Issam Smeir. - Yemeni parents are even more protective now, so it is harder for us as therapists to get the children to open up. KIDNET will help us teach the parents how to help their children express their emotions, they say. After the training the 23 therapists are authorised to practice KIDNET under supervision. Later, DIGNITY aims to “train trainers” so the therapy can be more locally anchored and reach as many as possible.